We love watching celebrities learn about their futures. The only thing we love more is the celebrity psychics themselves. Here are six of the world’s most popular psychics. John Edward is perhaps the most well-known and recognized psychic medium in the world. 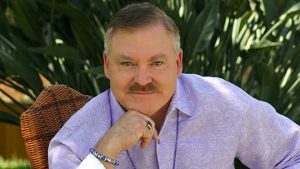 John gained fame through his live events around the world, his books, and his TV show “Crossing Over.” John exhibited psychic abilities beginning at a young age. His family readily accepted his abilities and encouraged him to grow in them and to learn more about them. John uses his gifts to help people find closure and gain comfort related to their loved ones who have crossed over to the spiritual realm. The Psychic Twins Terry and Linda Jamison are clairvoyant mediums famous for making predictions about celebrities’ lives and world events, and for contacting the spirits of dead celebrities. The twins have been honing their mediumship gifts since they were young adults. Sally Morgan is known as the United Kingdom’s Most-Loved Psychic. She became famous on the TV show “Star Psychic” in 2007 and has since appeared on many other shows. She has also published four best-selling books. A professor at Harvard University tested Sally’s psychic powers in 2005 and named her as one of the world’s top five psychics. Sally routinely reads for celebrity clients and served as Princess Diana’s spiritual guide before the princess’ death. 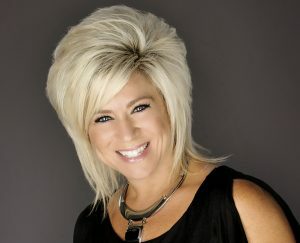 Michelle Whitedove won Lifetime’s “America’s Psychic Challenge” reality TV competition based on the consistent accuracy of her readings in front of live audiences. She’s also frequently featured as a guest on radio and TV programs. Michelle is an empath with clairvoyant, clairaudient, and clairsentient abilities. She regularly receives sound, taste, and visual messages from the spiritual realm and passes them on to her clients. Lisa Williams became famous on her TV shows “Voices from the Other Side,” “Life Among the Dead” and “Lisa Williams Live.” She also hosts a weekly radio show, has authored several books, and often embarks on international tours. As a psychic medium, Lisa helps clients find calling and their true direction in life. Her grandmother was Frances Glazebrook, one of history’s most well-known mediums. PsychicOz.com mediums are available for psychic readings over the phone and via online chat. Some of our readers have extraordinary gifts of numerology or communication with spirit guides to help their clients. Others are empaths and clairvoyants that also use messages from the spiritual realm to help their clients heal and grow. Some clients who seek psychic readings need help coping with death, finding love, and finding direction in their lives. PsychicOz.com mediums with empath abilities can help people get on the right path in their lives. Honesty is important at PsychicOz.com, and our readers are truthful without hurting clients’ feelings. Some readers specialize in family, love, and relationships. Others’ areas of expertise include changing careers, embracing change, and finding love. If you want to learn more about yourself, or if you have lingering questions you want answers to, or you’re seeking closure, contact a PsychicOz.com medium now for your own in-depth reading.